Honky Tonk Highway is home to Tootsie's, Orchild Lounge, Legends Corner, Second Fiddle, The Stage, Bluesgrass Inn and Robert's Western World. 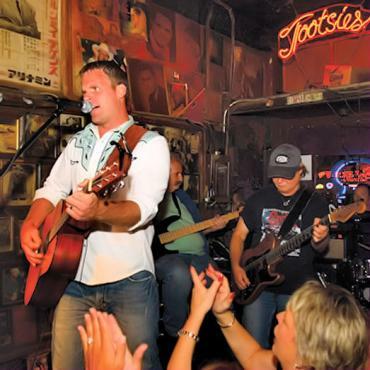 All venues are experts at serving up cool longnecks and hot country music. You'll never know who you'll encounter at these Lower Broadway clubs in the shadow of the Ryman. Willie Nelson, Kris Kristofferson and other stars began their careers at Tootsie's. A visit to the famous Wild Horse Saloon in Nashville is also a must-do. Daily line-dance lessons are free if you fancy kicking up your heels on the huge dance floor. Call Bon Voyage to include Nashville and the Honky Tonk Highway on your holiday to Tennessee and the Deep South.